Send flowers to the Dominican Republic using our extensive network of local florists across the Dominican Republic. Flowers to the Dominican Republic can be delivered the same-day if you order by 12 noon local time in the place where they'll be sent. Use our extensive network of flower shops in the Dominican Republic and have your flowers delivered on time. Through our extensive network of local florists you can send flowers just about anywhere in Dominican Republic. Some of our most popular places for flower delivery in Dominican Republic are: Santo Domingo, Santiago, La Romana, and Puerto Plata among other cities. Sending flowers to Santo Domingo has never been easier or fresher!!! The Caribbean is paradise on Earth, with its fabulous tropic climate. The Dominican Republic is one of the larger islands, and sending flowers to the Dominican Republic is easy with daFlores. Sharing the island of Hispaniola with Haiti, this unusual island is thus occupied by two nations. Don't let that worry you: you can still easily send flowers to Dominican Republic with our Dominican Republic flower delivery service. The tropical climate in the Dominican Republic makes for rich, bright colors and a lot of warmth. But you can generate a special kind of warmth when you send flowers to the Dominican Republic. Your loved ones have birthdays, special occasions and do good things for you. Flower delivery to the Dominican Republic has never been easier. 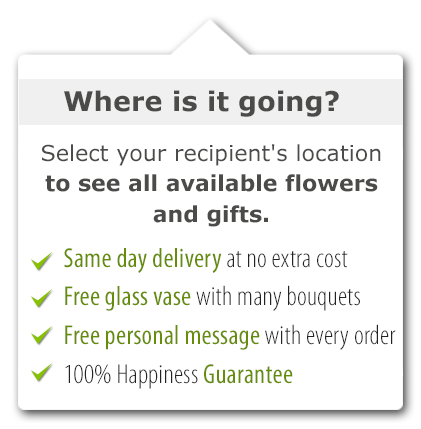 To enable your flower delivery to the Dominican Republic, we start with a network of very special florists. These shops have been in business for over a decade, and commit to providing fresh flowers every morning. This way, we make sure that your flower delivery in Dominican Republic is the freshest available, and in fact we can even arrange same-day delivery in most cases. Then, we ask you go to our website and pick Dominican Republic from the list of countries. 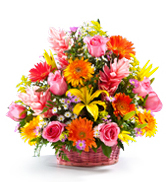 To send Flowers to the Dominican Republic, pick out your favorite arrangement and fill out the details. We will take care of the rest. Our customer service staff is on hand all day and all night to answer your questions, and we offer standard payment methods as well as some extra options that might surprise you. 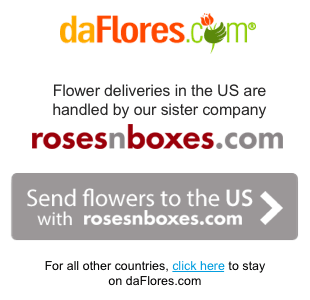 At daFlores, we are committed to making your flower delivery in the Dominican Republic the best. We have years of experience in the flower industry. A glance through our site shows you how much we offer. Trust daFlores with your flower delivery in the Dominican Republic! With daFlores’ services, it has never been easier to send flowers to the Dominican Republic and other American countries including flower delivery in Nicaragua. Valentine’s Day is one of the busiest times for florists all over the world, but we can help you get the best bouquets and arrangements for your loved ones. Make this Valentine’s Day in Dominican Republic something special with some classy and beautiful flowers delivered on time right to their door. Same Day Flower Delivery to all cities in Dominican Republic. Para ver esta página en Español, favor visitar nuestra página de Enviar Flores a Republica Dominicana.